Inicio » ING 1º ESO Welcome to our new blog. I / we usually wear my uniform to school. It is grey and red. a red jumper and (a pair of) dark shoes. I / we also have a school tracksuit to do sport. It is grey and red. I also wear trainers. And a red sweatshirt with a hood. I usually get up at half past seven. I have breakfast with my parents and my brother. I sometimes have cereal, fruit and milk for breakfast, but my favourite breakfast is waffles with chocolate. After breakfast I have a shower, I get dressed, I brush my teeth, I comb my hair and I go to school. My dad takes me to school by car. Classes start at half past eight and finish at half past two. History, geography, language, biology, maths, physical education, English, Portuguese, music, art and more. But my favourite subject is p. e.
After school I go home to have lunch, and then I have a rest. In the afternoon I do my homework, I study, I go to after school activities. At half past nine I have dinner, I watch T V or I read a book and at ten I go to bed. What is your friend wearing today? Today my friend is wearing a pair of red boots. I don’t like them very much. A black T-shirt, it is very nice, some black jeans, they are not bad, and a red jumper. Today my friend is wearing a pink jumper, some black jeans, a pair of trainers with blue socks and a black coat. She is also wearing a polo-shirt. She usually wears glasses, today she is wearing red sunglasses and a blue cap. Today my friend is wearing a blue scarf, a white shirt and blue jeans. She is also wearing a pair of brown boots. Today my friend is wearing black jeans, a white T-shirt and a red jumper. She is also wearing a pair of white shoes, a black jacket, a brown scarf and a blue hat. I think so ( I don’t think so). When I go to school, I always wear my uniform,but when I go out with my friends (when I meet my friends) I like wearing casual clothes, for example: a pair of (some) jeans, a T-shirt, a jumper and trainers. My favourite colour is red so I have lots of red clothes. It is my favourite colour because I think red gives you energy ( energetic) and it is the colour of the winners. – Excuse me! Can you tell me how to get to Hall Street, please? + Yes, of course! Turn left on the first corner and go ahead until you get to the pet shop. Go past the shop and Hall Street is in front of you. -Excuse me can you tell me where Europe Avenue is, please? +Europe Avenue…Let me think…,oh yes I know where it is. +Go straight and then turn left on the first corner. Then cross the road and go pass the park. Europe Avenue is on the right. -Did you have a good weekend? -What did you do ? + I went to the cinema with my family and then I went to the shopping centre to buy a pair of shoes. -What film did you watch? We went to visit our grandparents. They live in a village near Badajoz. We had lunch all the family together and later we went for a walk. We came back home in the evening. I was very tired and I went to bed early. Last Saturday I got up at ten o’clock. I had breakfast and later a had a shower. I got dressed and I went to San Francisco park with my sister Cristina and her boyfriend. Our sister Carmen took part in a dancing show. It was the International Dance Day. She was the best dancer in the show. At two o’clock we had lunch in a restaurant. When we finished our luch we went home. In the afternoon I met my cousins and my friends. In the evening we had dinner all together in my house. 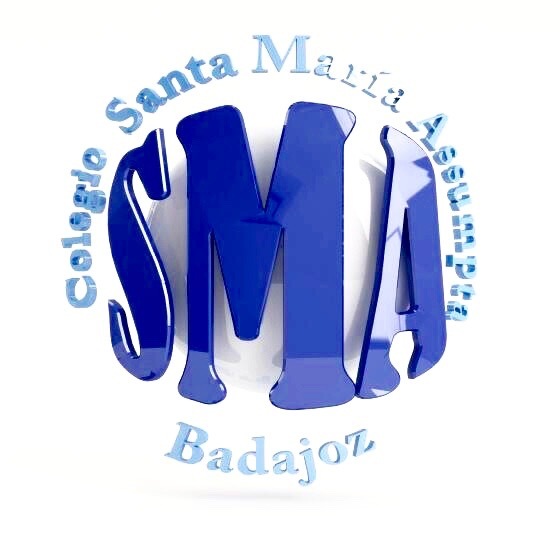 Nuestros alumnos de 1º de ESO, han visitado el Hospital Materno Infantil de Badajoz con un proyecto de animación para los niños de larga hospitalización, que han elaborado desde la clase de Lengua y Literatura con las profesoras Ana López y Verónica Sánchez. Enhorabuena a todos ellos por su labor. Mañana día 30 de enero celebramos el Día de la Paz. Dado el alto nivel de participación y para garantizar la seguridad de todos nuestros alumnos, esta actividad tendrá lugar en el campo de fútbol del colegio y no en el Puente de Palmas, como se había previsto en principio. Rogamos disculpen las molestias y agradecemos su colaboración. Here you are ! Pulse Basics 1.